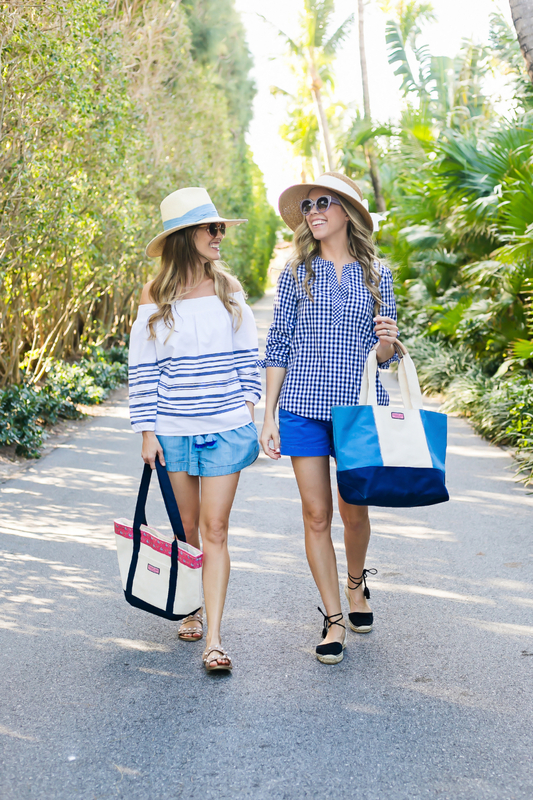 We have been big fans of Vineyard Vines for many years <you can read their inspiring story here> and always love flipping through their playful catalog that captures real people in their natural element. So when they recently reached out to us about sharing a few new looks for their latest catalog, we jumped right on board. Come along to see how we styled our favorite pieces and be sure to pick up a catalog in the store to see more of these looks! 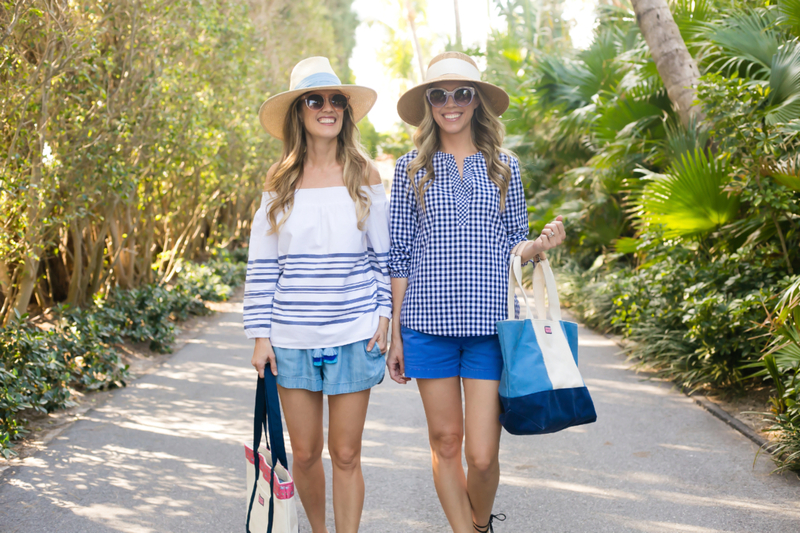 Stripes and gingham are our two favorite patterns and these two tops perfectly reflect our personalities. Beth loves the off-the-shoulder top with soft, pull-on shorts, and I love the blue gingham top with bows on the sleeves and the blue hues in the top, shorts and bag. In the winter, we love wearing stripes and whites and are excited to add these pieces to our closets. 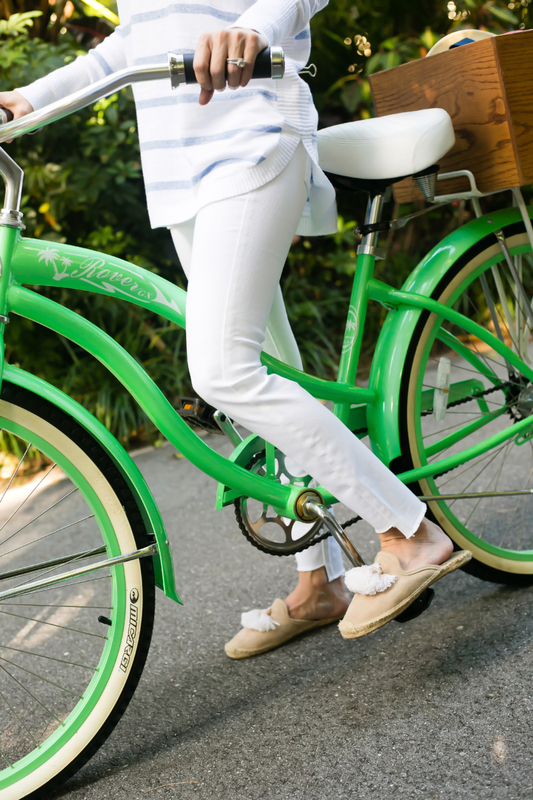 You’ll find us in these white jeans all the time because they have a super flattering fit and the frayed hem is so fun. The sweater and cardigan are perfect for cooler days, too! Whether day or night and a weekday or weekend, we wear lots of dresses here in Florida. 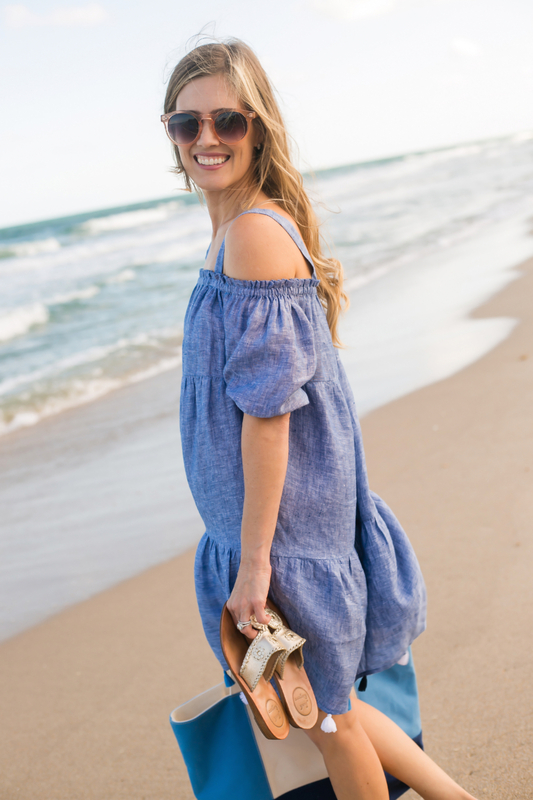 Beth’s cover-up has the cutest tassels along the hem and my light blue striped dress has beautiful embroidery along the neckline. Both dresses could be dressed up or down, too! This winter has definitely been chillier than usual, so we have been layering sweatshirts or jackets over our shirts to easily add or take off throughout the day. 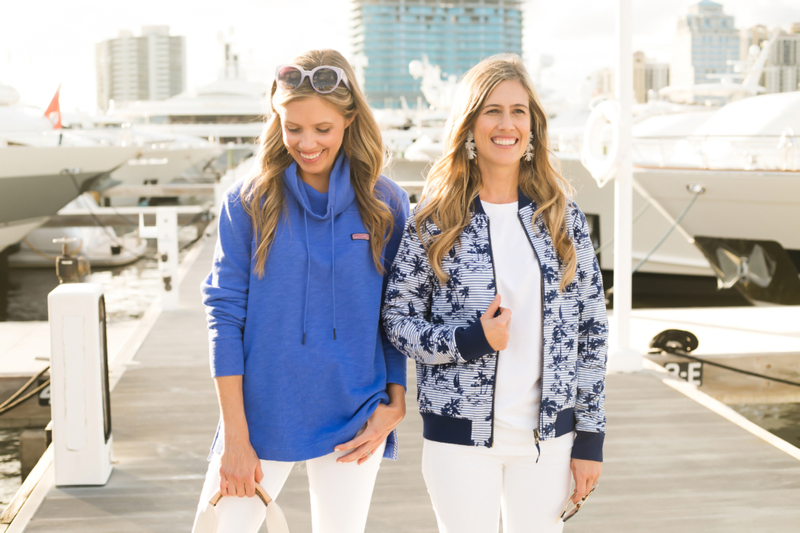 The Shep Shirt is a must-have and this fun bomber jacket is reversible – plus, both look great with white jeans! For an afternoon by the water, I love this striped knit dress. It’s so classic and comfortable and the bow is a sweet, feminine touch. Pair it with a sunhat, tote and slides and you are ready to go! On Danielle: Bow Neck Stripe Knit Dress, Vineyard Whale Classic Mini Tote and Small Firework Fan Drop Earrings.